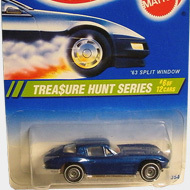 7/12 from the 1995 Treasure Hunt series. 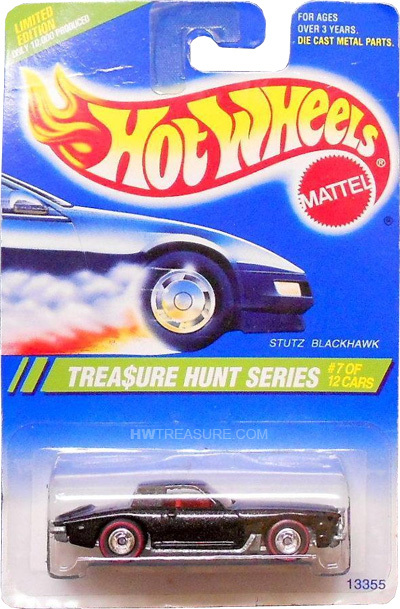 The Blackhawk features black paint, clear windows, a red interior, red line Deep Dish Real Rider wheels, and an unpainted metal Malaysia base. 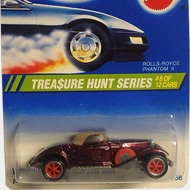 The Stutz Blackhawk first appeared as a Hot Wheels car in 1980 and is based upon the luxury vehicle of the same name. The first Blackhawk ever sold was purchased by Elvis Presley on October 9, 1970.